If you’re looking to swim from home, but not sure if a traditional pool or a swim spa is right for you, some information can help. 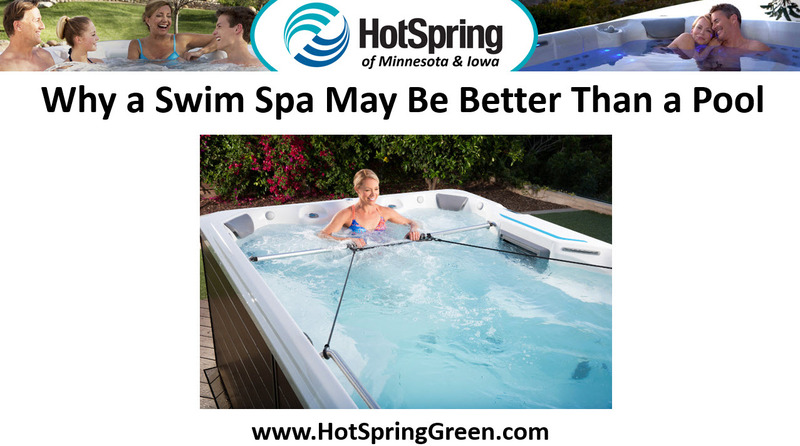 With compact size, year round use and easy maintenance, here’s why a swim spa may be better than a swimming pool. It Fits Easily in Limited Space – For homeowners without a huge backyard, a swim spa may be the better alternative. Compact size means the modern swim spa can fit practically anywhere, from a patio to a screened in porch. You Can Use it all Year Long – Swim spas can be placed inside your home, someplace the typical swimming pool can never go. With indoor access, you can use your swim spa year round. Swim when it’s raining, and even with snow on the ground. An indoor lap pool offers aquatic fitness 365 days a year. Swim Spas are Easy to Care For – Ask any swimming pool owner how much time and money is involved in providing care and maintenance. Swim spas still require maintenance, but with less water to heat and fewer chemicals needed, overall cost and time involved is far less.